Jim Zima, owner of Great Lakes Diesel in Huron, Ohio, returns to the GLCC School line-up with his popular webinar Marine Diesel Maintenance 101. This is a must webinar for those who like to stick their nose in the engine room, and want to have the confidence of knowing how to do things right. From the GLCC School to the Annapolis Cruisers University Jim Zima shows us that he is not only a master mechanic but a great teacher. 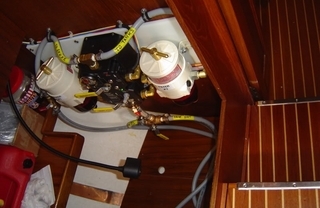 This webinar is part of a specially-priced 3-webinar Marine Diesel Maintenance Package. Click here for more information and to register for class.